The vision of a stainless steel kitchen is synonymous with professional catering but what makes it such a popular choice? 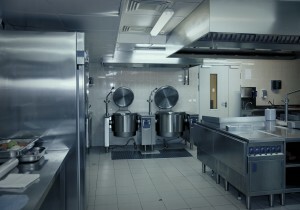 Concerns about plastic waste have now seen stainless steel also being more widely used in homes for culinary purposes. There is no escaping the need to consider the environmental impact of the products we use and particularly what happens to them when we no longer need them. Minimising waste is an important consideration and herein lie two of the major strengths of stainless steel. Due to its robust nature stainless steel offers long-term strength and durability in the kitchen. If it is looked after correctly stainless steel will not only last a long time but also look good for a long time too giving a neat, clean appearance to catering kitchens. When it does come to the end of its useful life a product made of stainless steel is recyclable. In fact, 100 per cent of stainless steel can be recycled and 60 per cent of all stainless steel products are made from recycled material. While the durability of stainless steel makes it an excellent investment over the long-term, this quality, along with its recycling credentials, also makes it a good choice for kitchen equipment from an environmental point of view. What properties make stainless steel ideal for use in kitchens? Of course, as well as being durable, food grade stainless steel has been found to be food safe and has a non-toxic finish. In addition a stainless steel catering kitchen is easy to keep clean thanks to non-porous smooth surfaces that leave no hiding places for germs, while its natural durability makes it an excellent choice to use around heat sources. Safe, durable and long-lasting, there is a very good reason stainless steel remains at the heart of the professional catering kitchen. Are you looking to upgrade your kitchen equipment or considering a new layout? Contact the team at Caterline Ltd online or speak to a member of staff by calling 01384 459111.